Tuf-Totes are made from corrugated plastic and designed specifically for your operation. Whether you need small, large, collapsible, or reinforced, you can be confident that Carter Associates can manufacture the exact shipping totes that you need. Corrugated plastic is much, much more durable than standard cardboard. 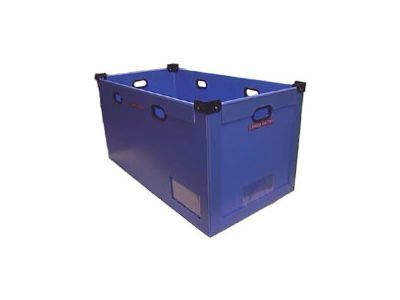 Engineered to withstand harsh applications and repeated use, Tuf-Totes will save you money by eliminating the need to constantly reorder, assemble, break down, and dispose of traditional cardboard boxes. Tuf-Totes aren’t just versatile, they’re convenient! Lightweight and easy to move from point A to point B, they can also be broken down and stacked to save space. Because of this, you can better organize your floor, helping your employees save time and ensuring that you save money. At Carter Associates, we strive to provide our customers with access to the industry’s most durable, long-lasting, and cost-efficient shipping totes on the market. In addition to this, we produce high-quality dunnage and structural laminates. If you’ve been searching for a company that will work with you to understand your operation’s needs and – more importantly – help you overcome the challenges that you’re facing, contact us today!